Danish designer Cecilie Manz has designed a highly functional and aesthetic looking pouf for the Fritz Hansen Objects collection. 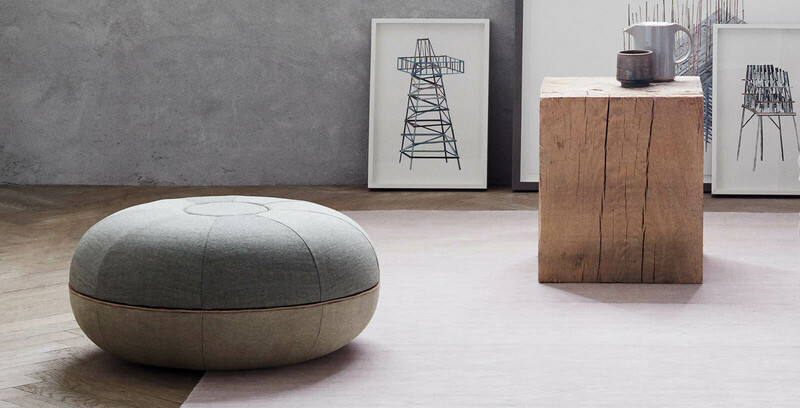 The pouf is upholstered with Poul Kjærholm canvas as well as Remix textile from Kvadrat and separating the two is a string of natural leather. Available in small or large sizes, this listing is for the small Pouf by Cecilie Manz. The Fritz Hansen Pouf comes with a full manufacturers warranty.